There’s an outstanding book i’m reading called House of Debt. It’s been referenced by Evan Siddall the CEO of CMHC several times over the past few months so I was inclined to pick it up. Siddall has been critical of Canadian debt levels and elevated house prices and much of the recent lending polices introduced have likely been influenced by this book. 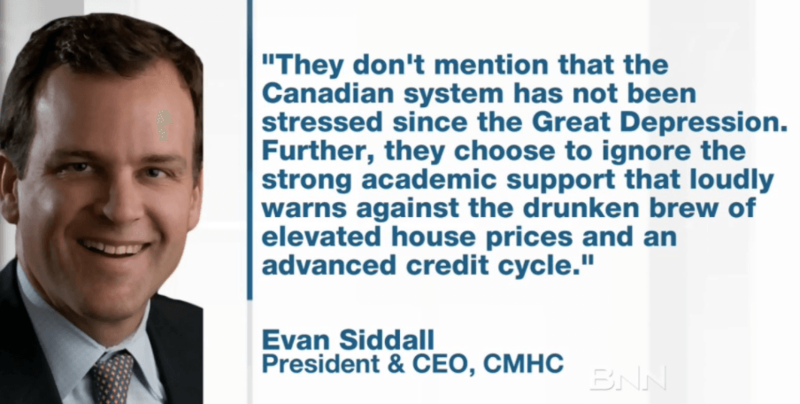 CEO of Canadian Mortgage and Housing Corporation critical of Canadian debt levels. The authors illustrate in almost every housing boom and bust the areas which get hit the hardest are low credit score areas that coincidentally get injected with the most credit. In the US housing crisis areas such as Detroit and Chicago, which were the lowest credit score areas, saw the biggest increase in home prices and subsequently the biggest price declines when the market corrected. Why? Because low credit score areas were pumped full of cheap credit, highly leveraged, and took on loads of debt. Banks loaned because it appeared “prices could only go up.” Sound familiar? 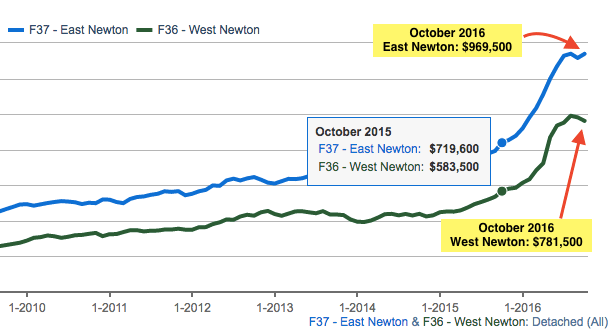 Detached prices in East & West Newton combined climbed a staggering 34%. Condos climbed 14%, while townhouses soared 39.5%. Did I miss something or did incomes suddenly rise in Newton? I would also argue there’s little foreign money entering Newton. I’m also skeptical it’s an area that would appeal to investors. Newton therefore is a prime example of a lending boom which fuelled house-price growth. In the United States from 2002-2006 low credit-score homeowners borrowed an average of $0.40 for every $1 increase in home equity value. Estimates show that over half of the increase in debt from 2002-2006 can be directly contributed to borrowing against the rise in home equity. Homeowners didn’t just extract home equity- they spent it. Many homeowners borrowed despite having substantial debt outstanding on their credit cards. If the people in Newton behave even remotely similar to their American counterparts, look-out. As home values fall and equity evaporates so too does the wealth effect, thus ultimately shutting down the home ATM. The authors point out that people immediately begin to spend less which has a ripple effect throughout the economy. Of course we are well aware of the correcting real estate market. Newton residents will not avoid this one. 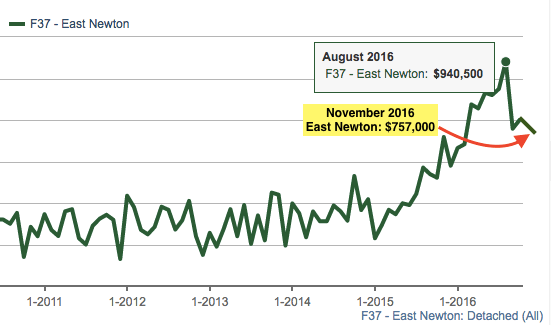 As of right now detached prices in East Newton have already dropped 19.5% since August, and 24% in West Newton. Cheap and easy credit will continue to evaporate as lending standards tighten and the prospect of further price declines cautions lenders.